Romantic gifts are always appreciated by women but many women don’t expect a gift unless it’s Valentine’s Day. Birthdays are a perfect time to make a woman feel special, inject a little romance and take her mind off the passing of yet another year. This article offers some ideas for unusual, creative birthday gifts to make a woman feel really special. A great way to surprise a woman is to give her a gift she really doesn’t expect so how about one of these? A course for her favorite hobby, for example Japanese embroidery. How about a romantic balloon ride? Look for spa hotel packages that combine pampering with a graceful balloon experience. A season ticket for a monthly trip to the ballet or the opera, if that’s what she loves. A personalized portrait of the two of you, perhaps done as an oil painting or a watercolor; easy to achieve by sending a photo to a suitable online store like PaintYourLife. Or maybe a humorous version of that photo portrayed in a caricature? Does she love flowers? Buy her a fragrant jasmine plant in a ceramic pot. Or Gourmet chocolate? As much as any woman will complain that it may make her fat, cocoa rich chocolate in cool packaging from a cool brand like Hotel Chocolat will always make her smile; just have her name engraved on the packaging to make the gift unique. Get out in the great outdoors for some natural romance; maybe plan a picnic in the forest or by a lake. If it’s mid winter, take some blankets along with the champagne, chocolate truffles and a portable gas burner to keep warm and cozy. Try some homemade romance. While she’s out at work, buy several dozen candles and some rose petals (available fresh from wholesale wedding suppliers), and create a dreamy candle-lit setting for a supper at home. Either cook a special meal or order a gourmet food delivery where caterers come to the home and leave the dinner in silver platters. Book a spa pampering day including a massage and a rejuvenating facial so that the woman in your life looks and feels amazing on her romantic date at an intimate restaurant. Diamonds are a girl’s best friend and women who have been married for many years will simply adore some new diamonds – choose from a necklace and earring set or just buy a diamond eternity ring to spread the love. If she is into fitness and health, splash out on some new home gym equipment or buy her membership at an exclusive fitness spa fitness center. 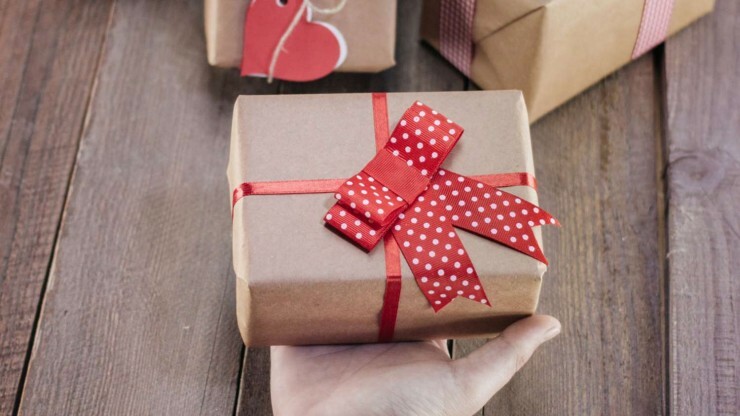 Or buy a brand new piece of sports equipment like a lightweight women’s specific mountain bike or a new pair of skis – even hardware can be romantic if wrapped in an appropriate red ribbon! Give a romantic birthday gift to make a woman feel special on the passing of yet another year. Flowers and chocolate are always appreciated but something more unique, as suggested above, will surely bring a greater smile.